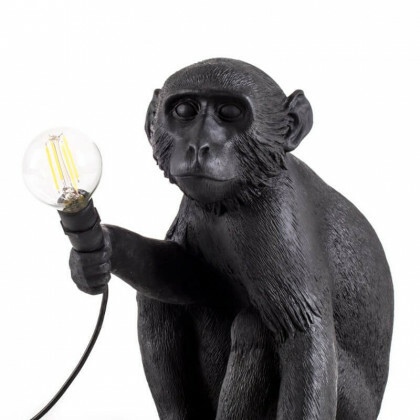 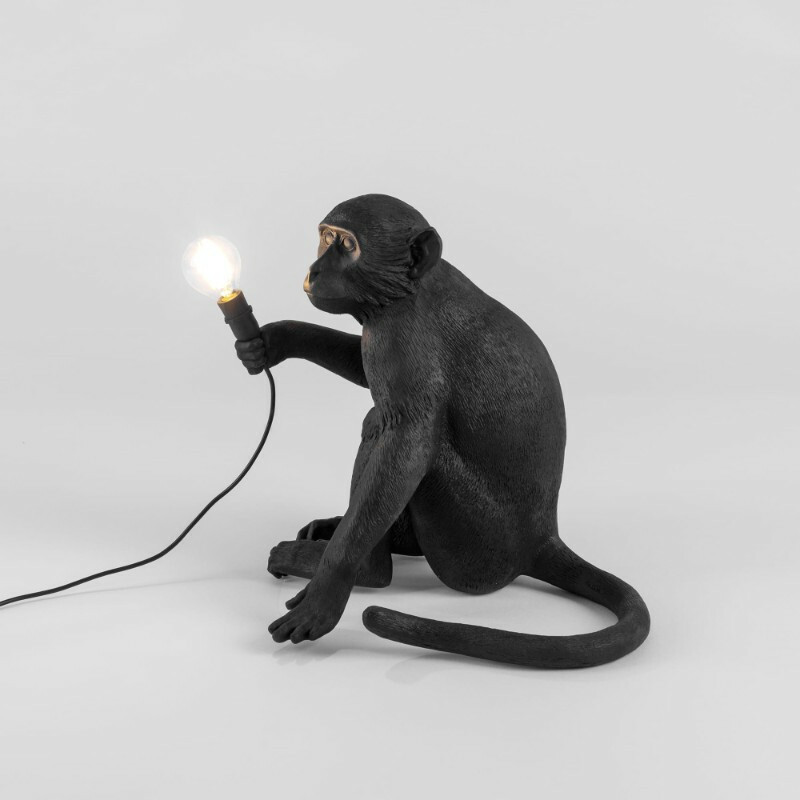 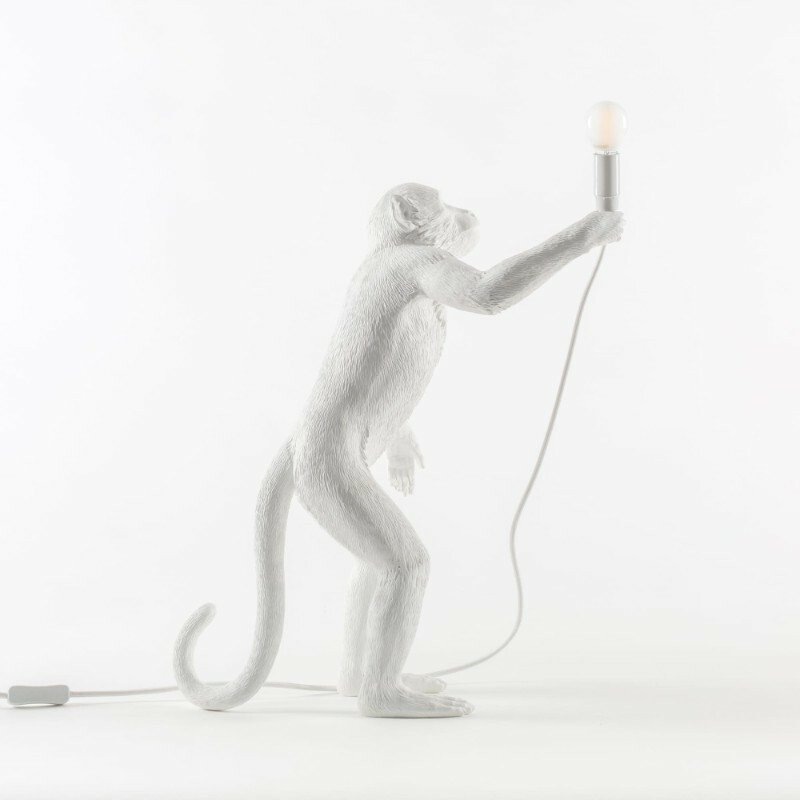 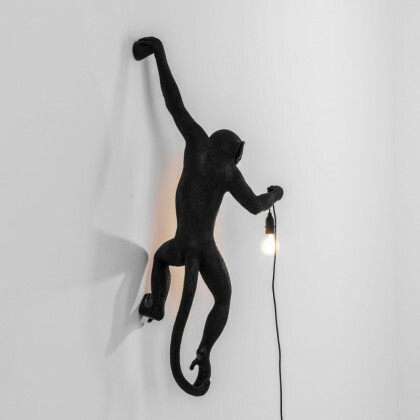 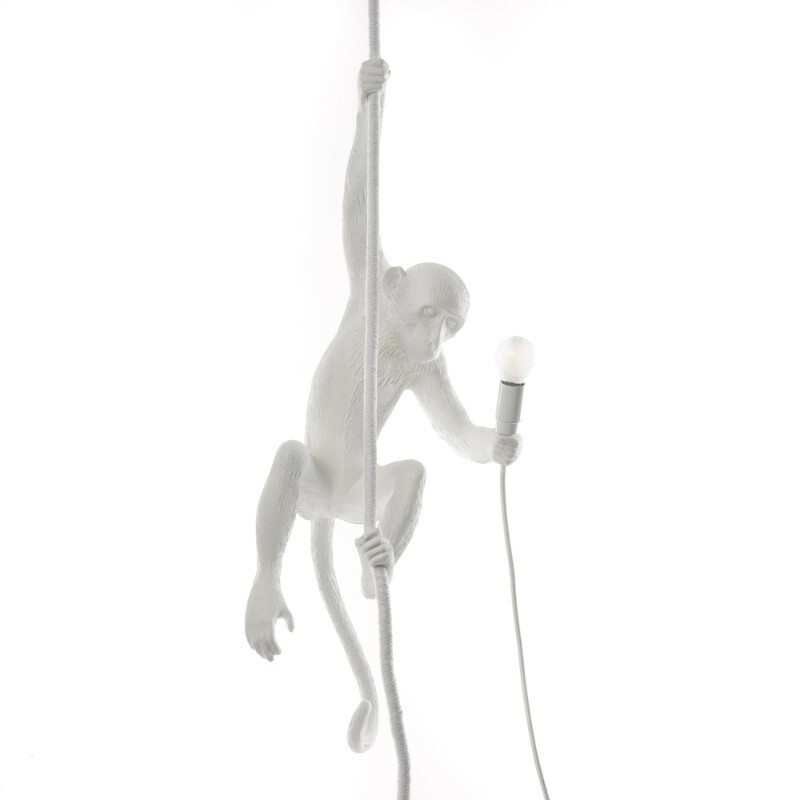 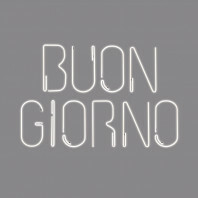 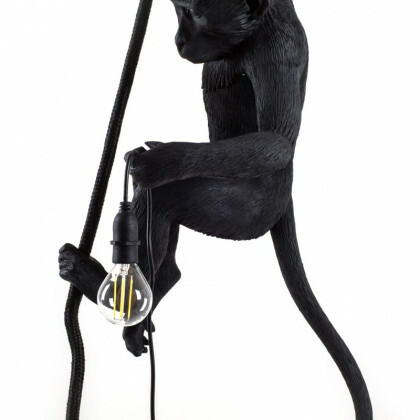 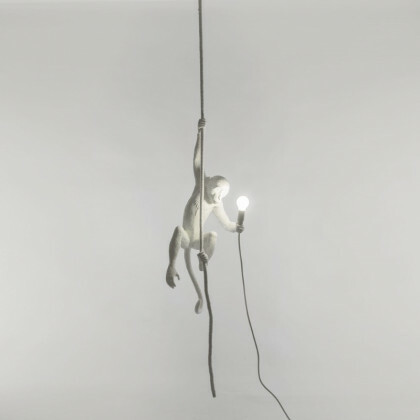 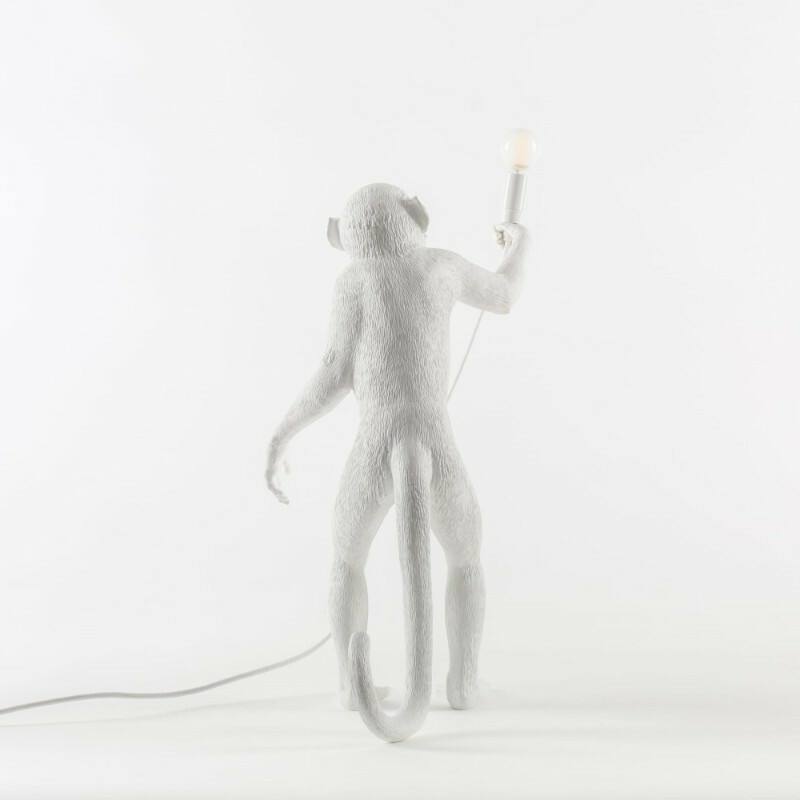 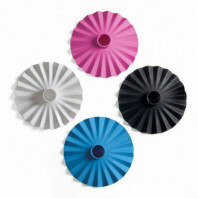 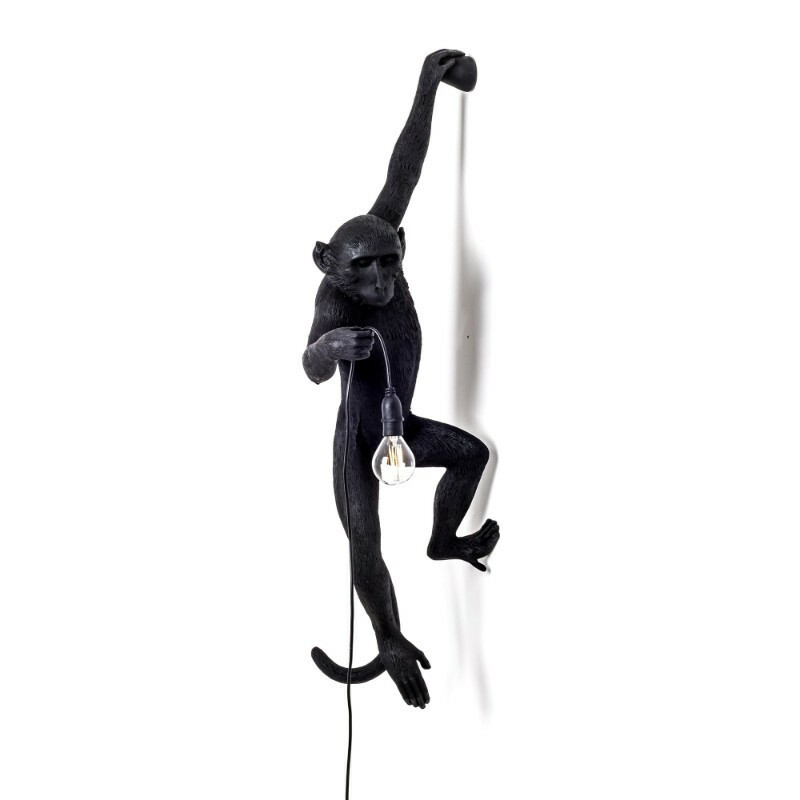 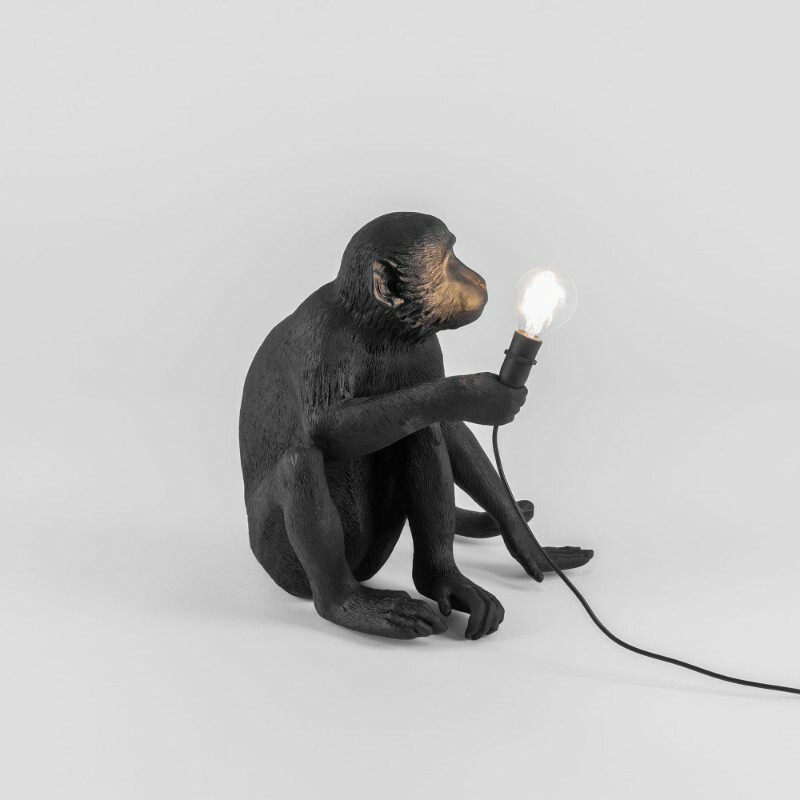 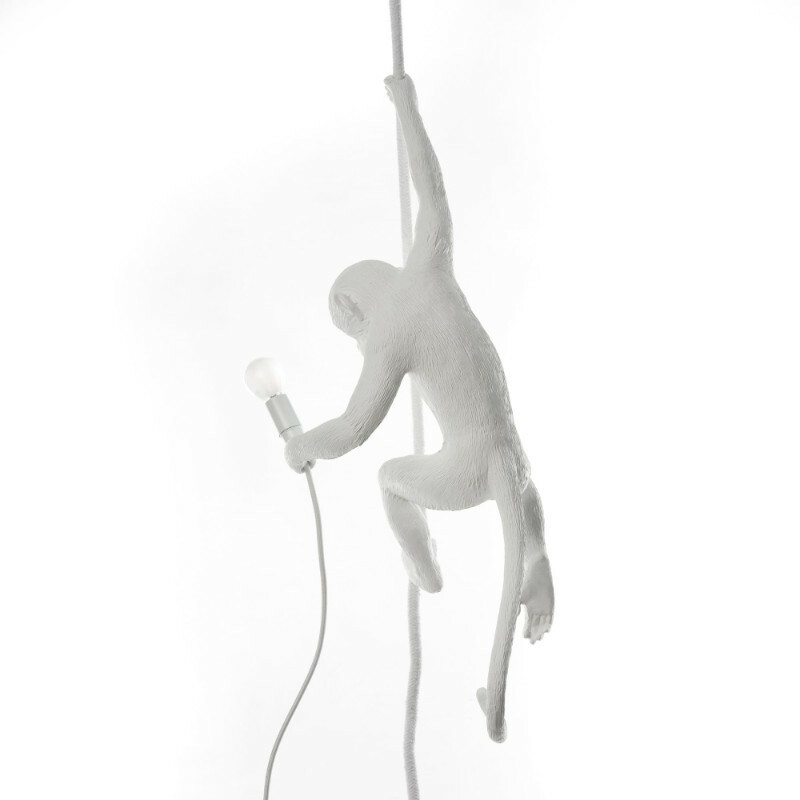 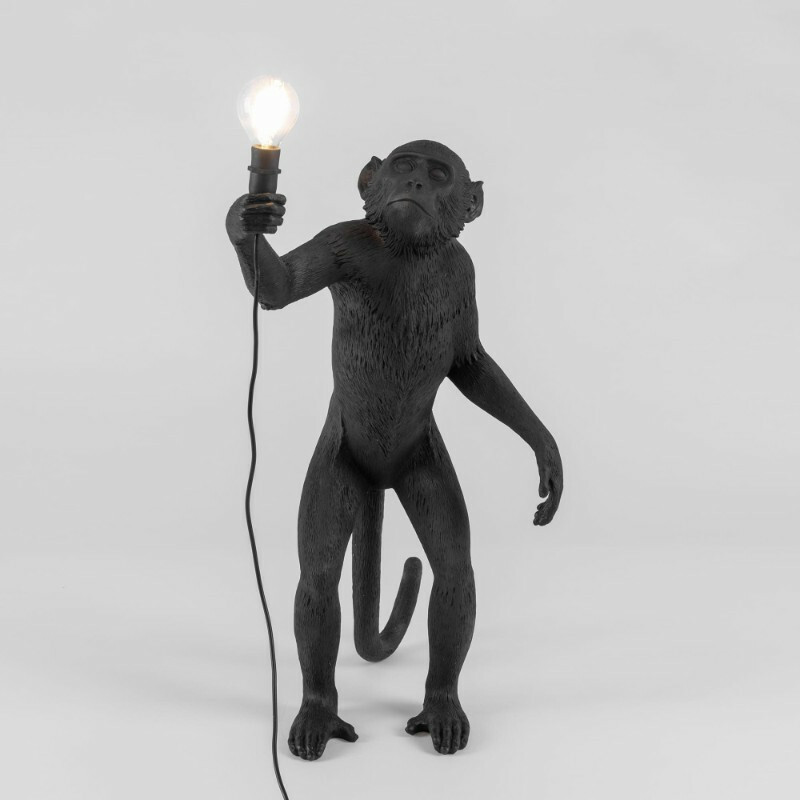 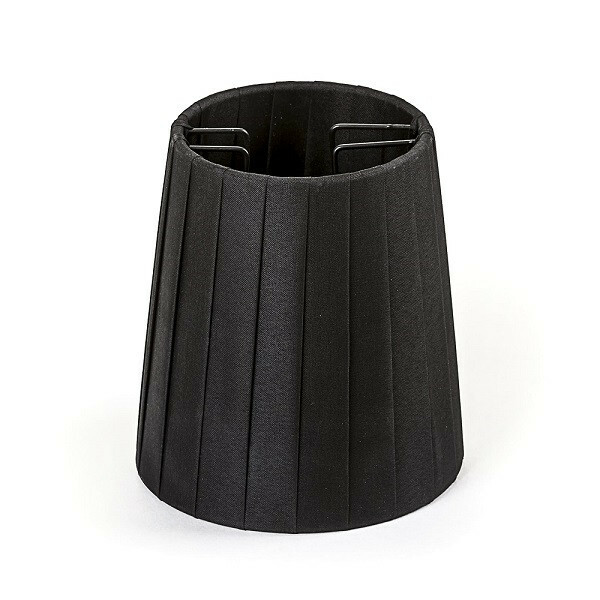 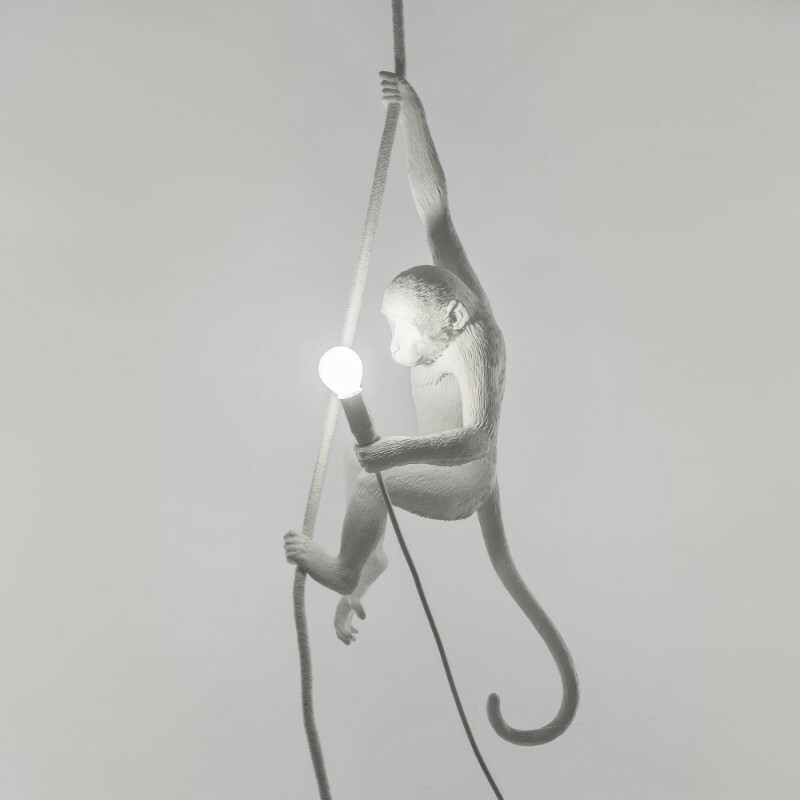 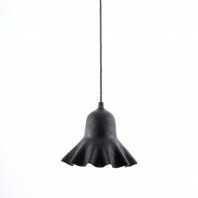 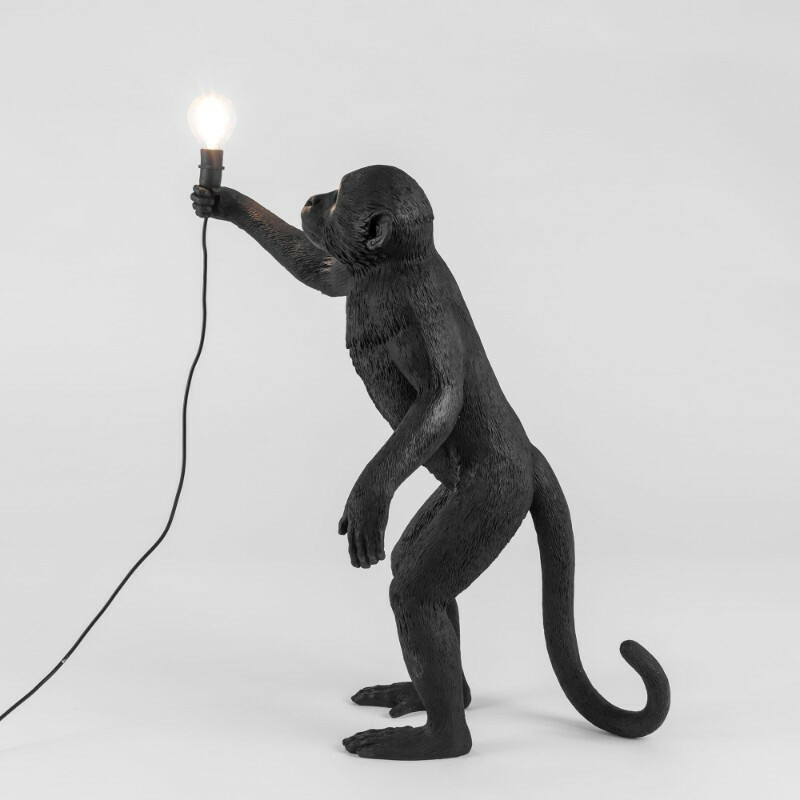 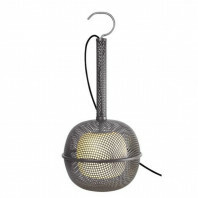 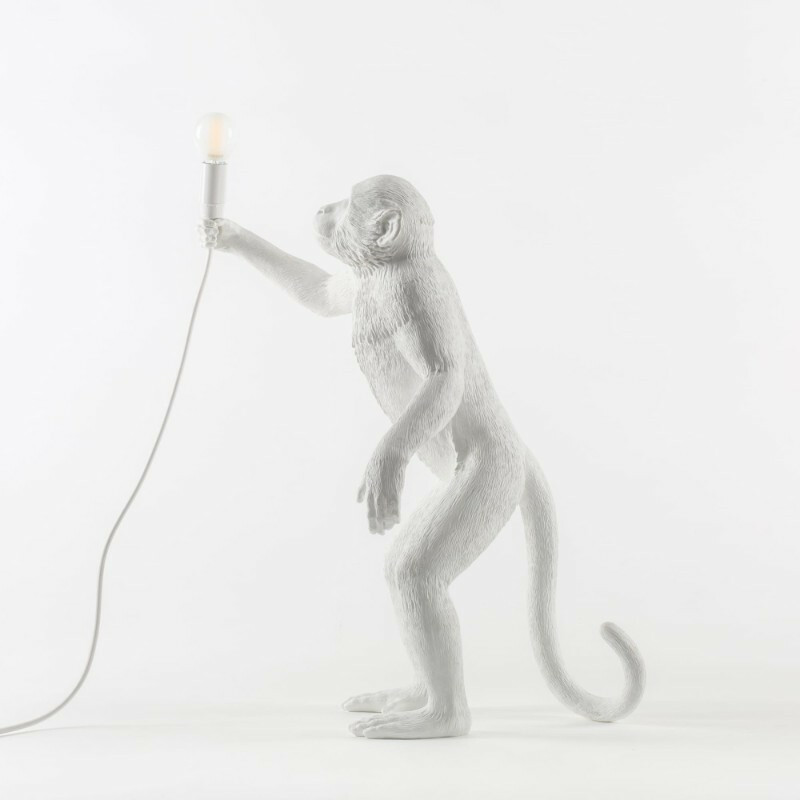 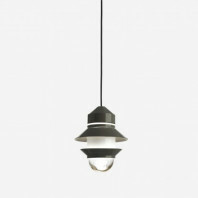 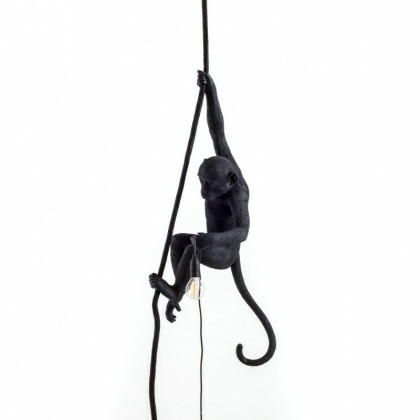 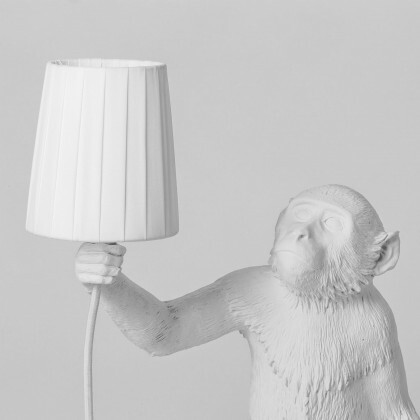 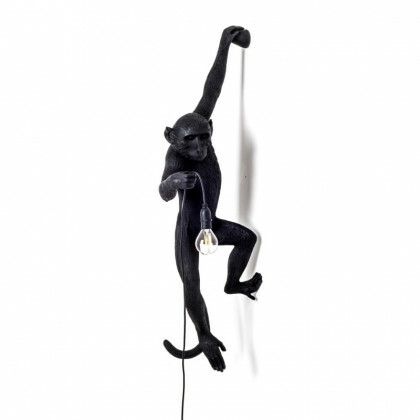 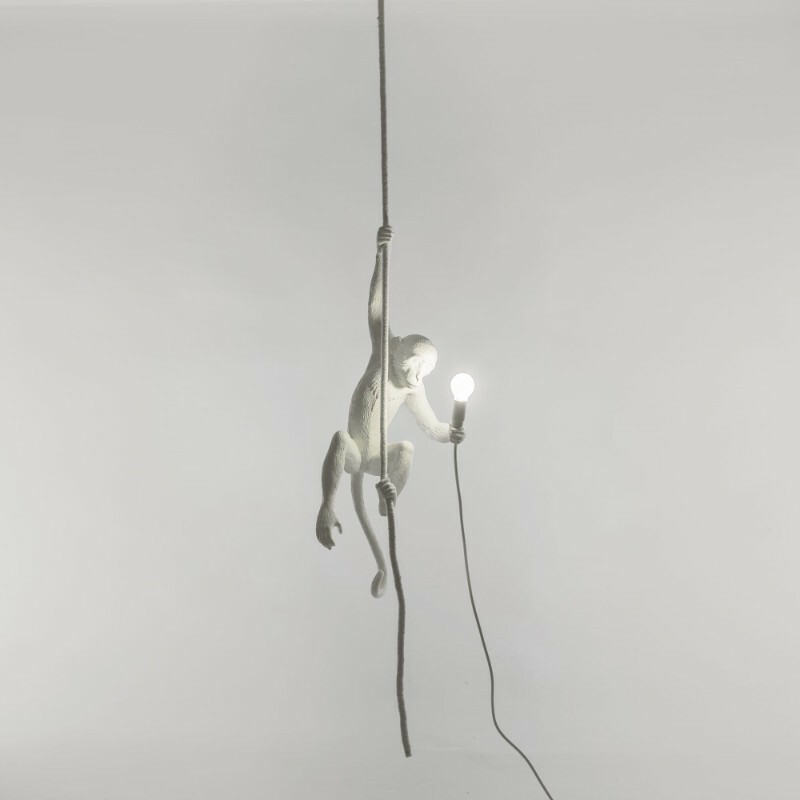 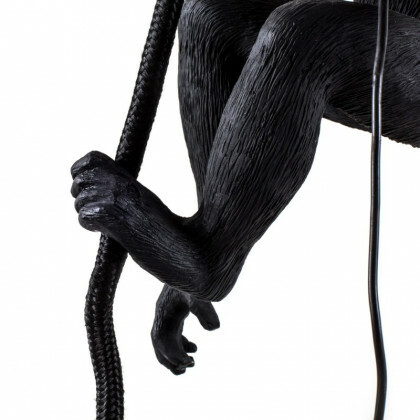 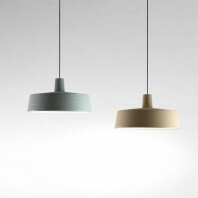 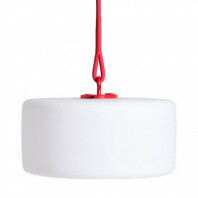 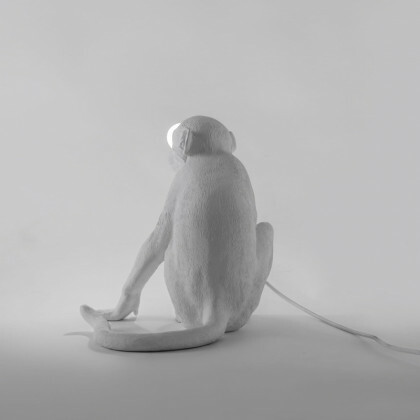 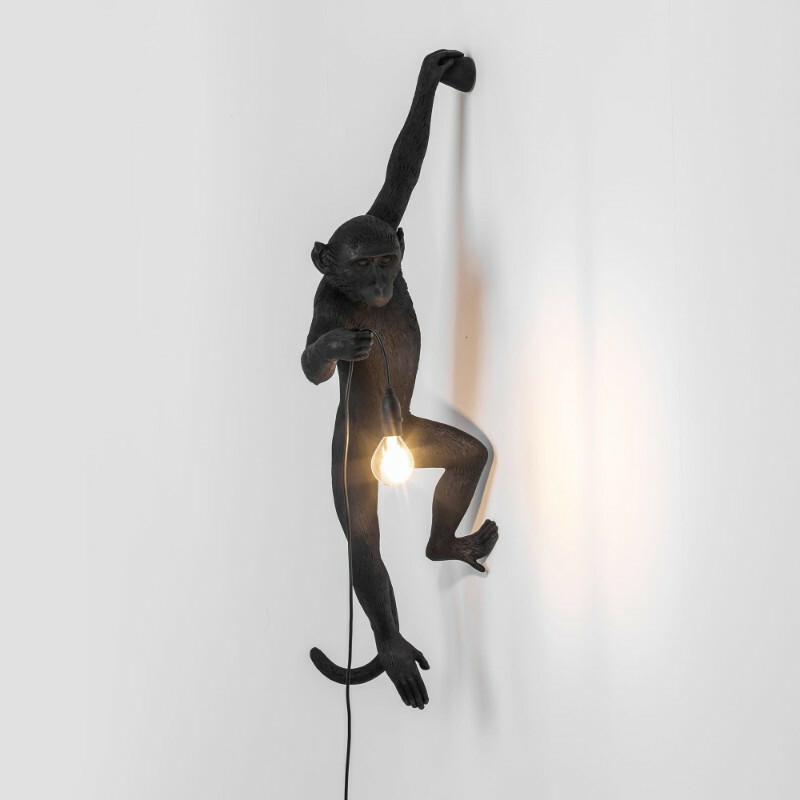 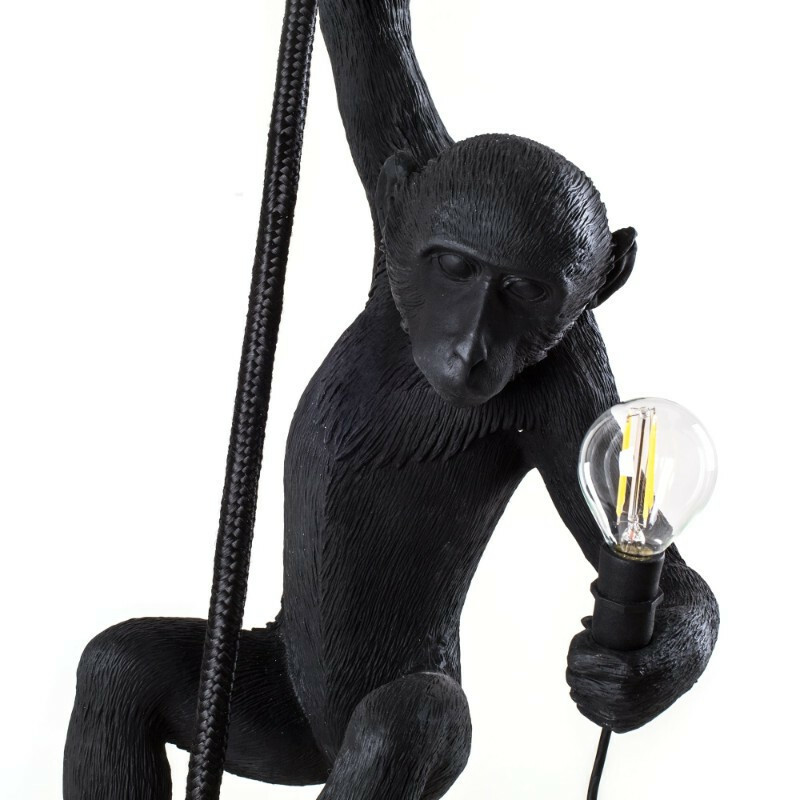 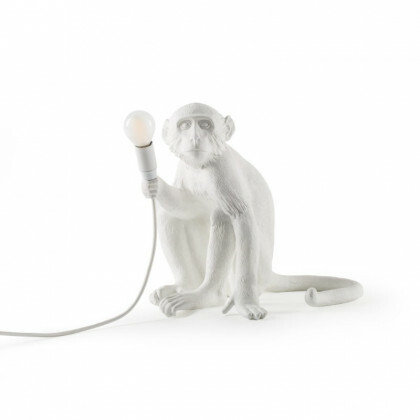 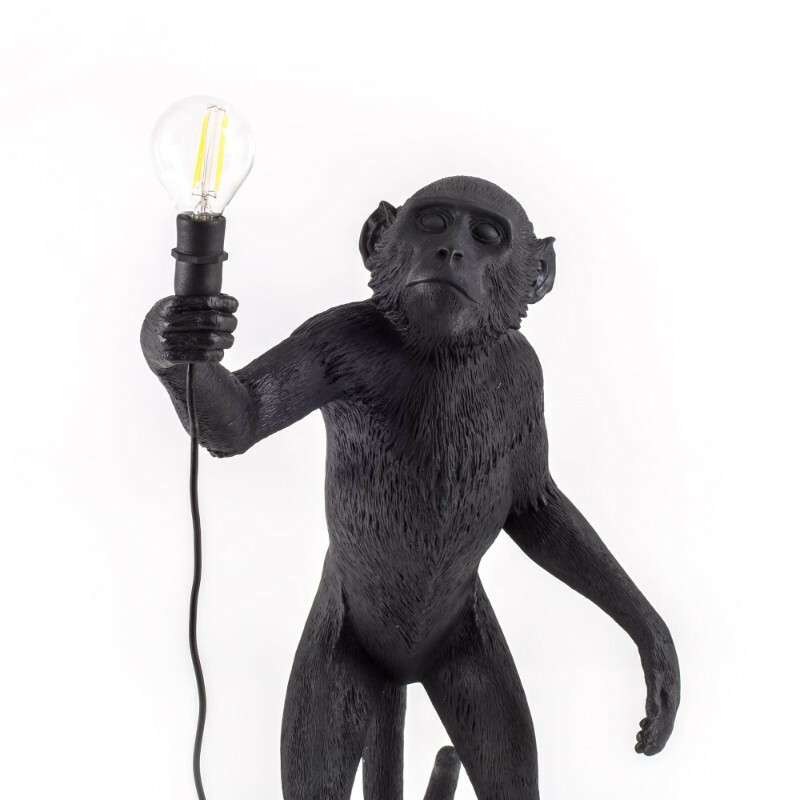 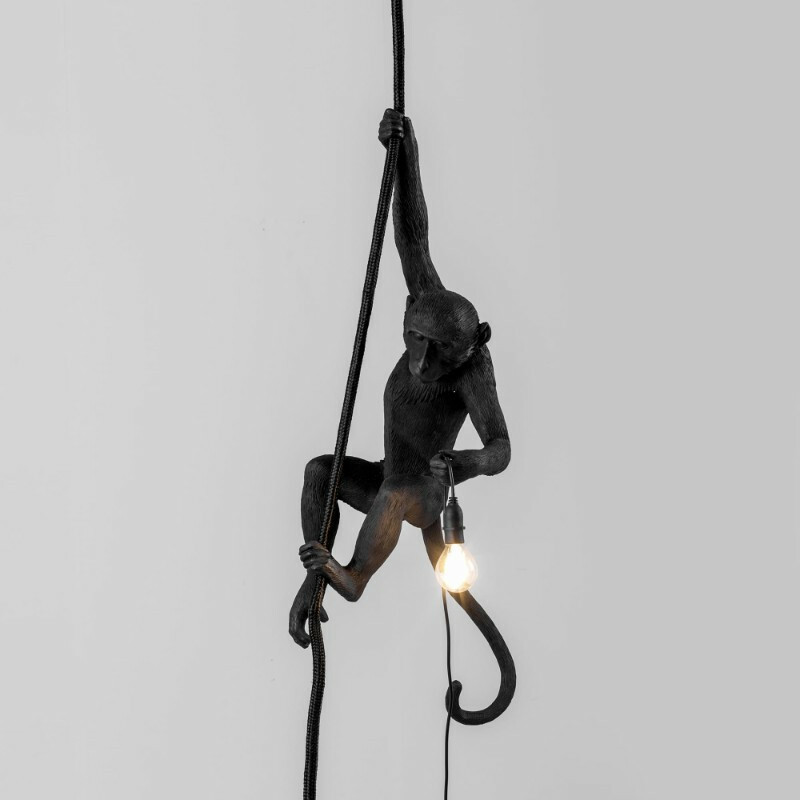 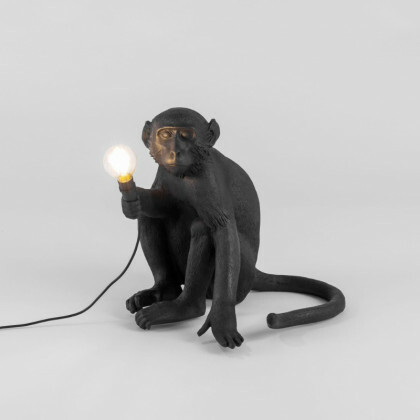 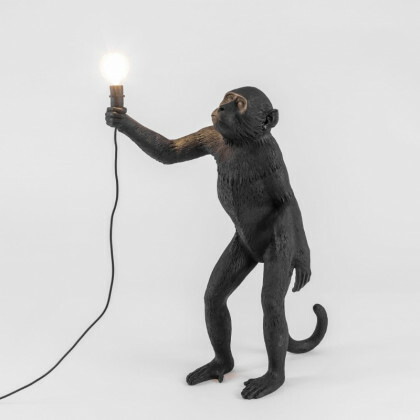 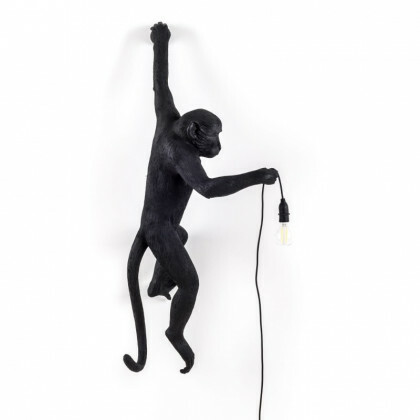 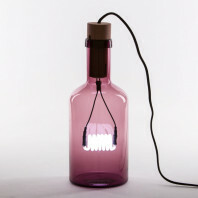 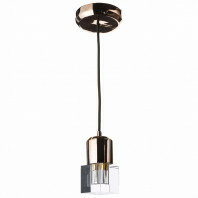 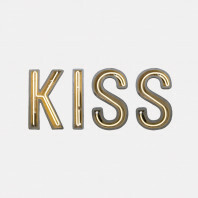 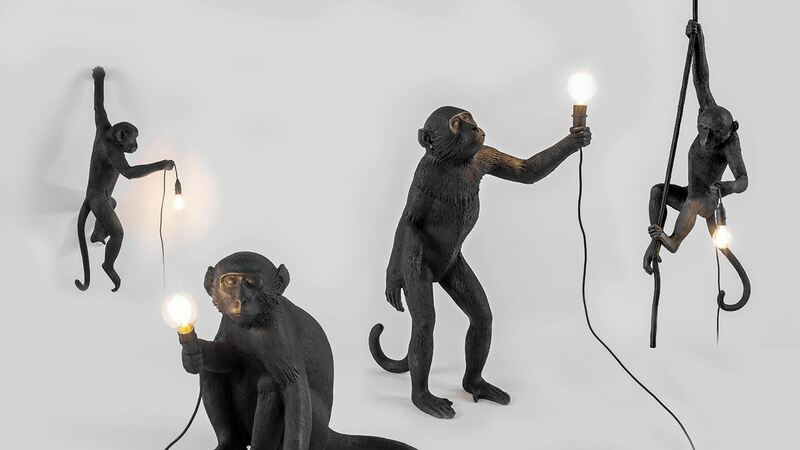 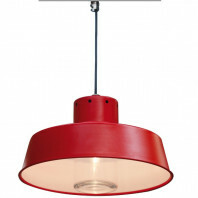 The Monkey Lampshade is made out of metal and polyester, while the rest of the Monkey Lamp series is made out of resin. 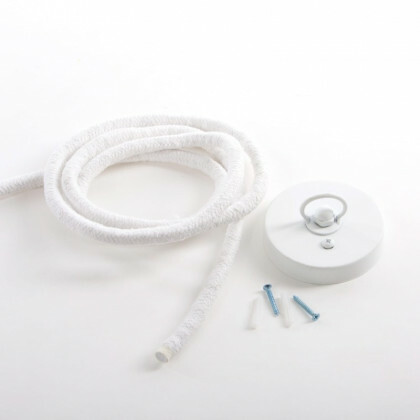 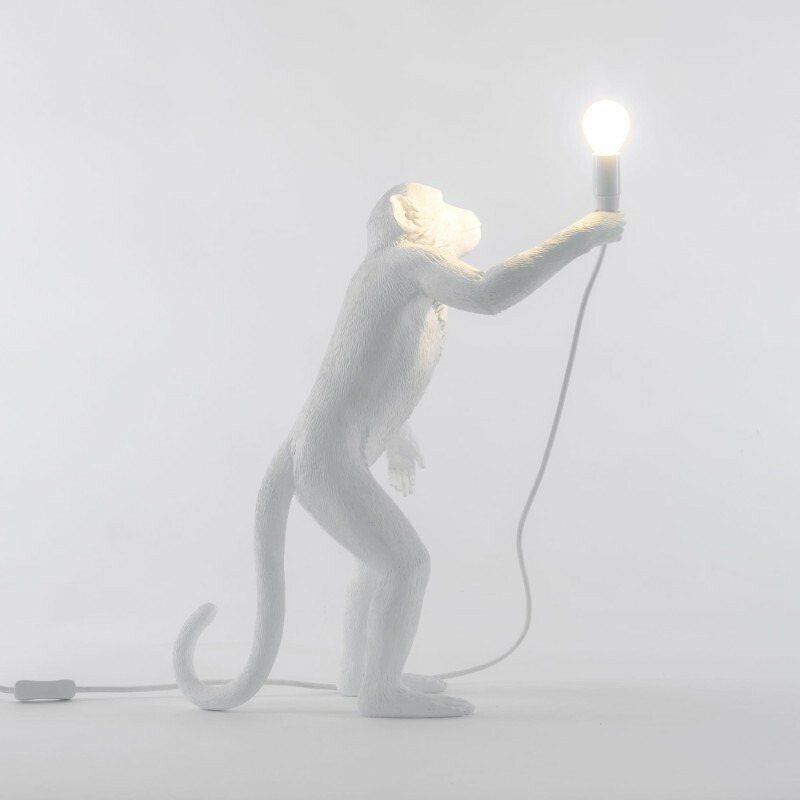 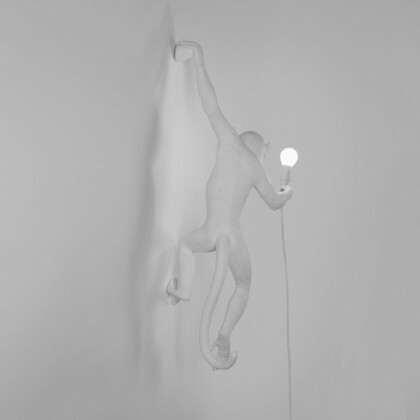 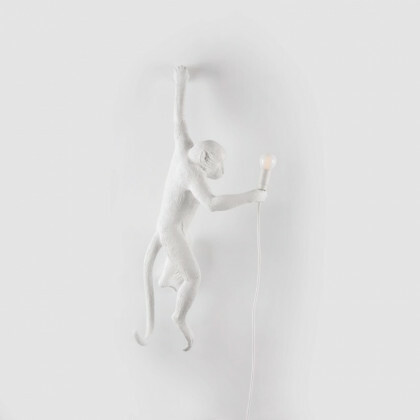 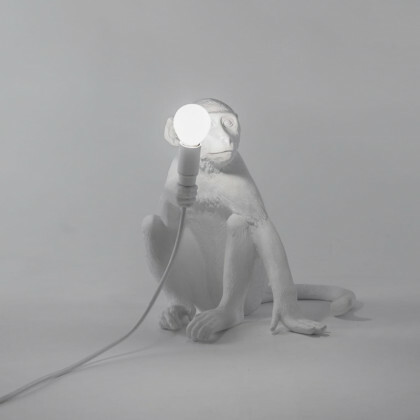 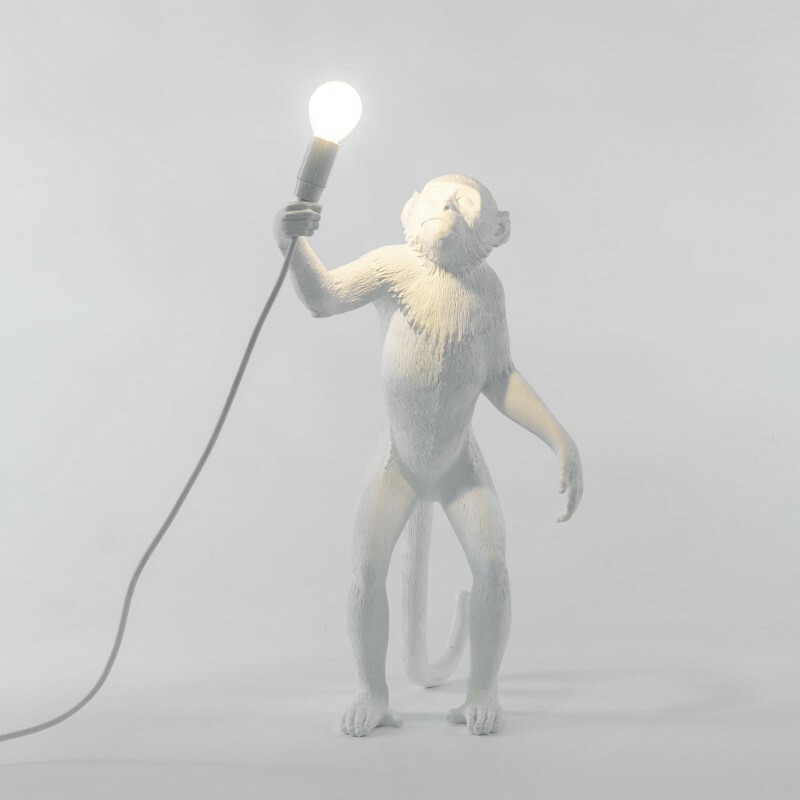 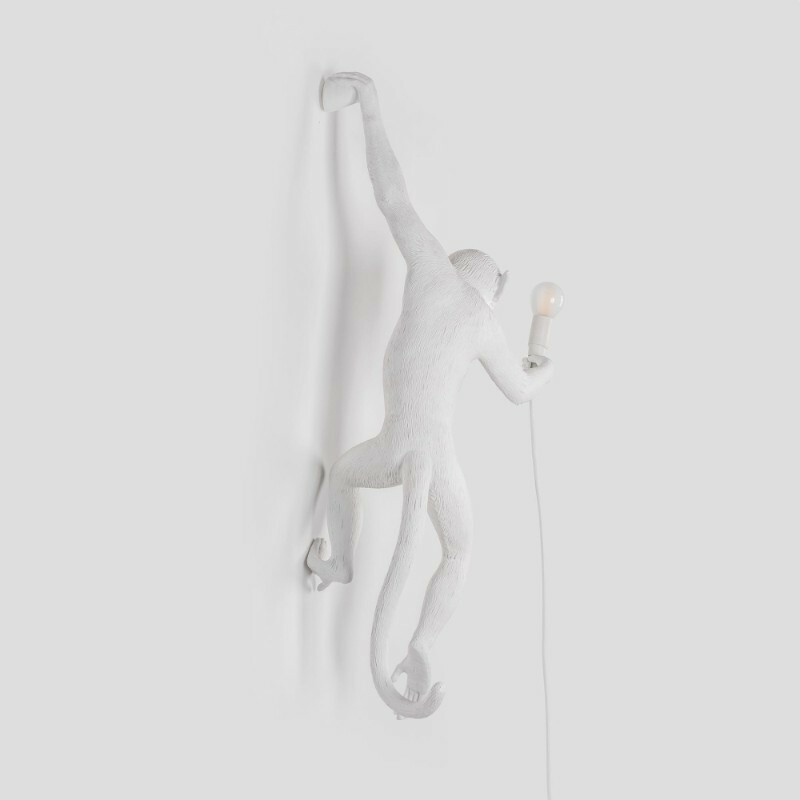 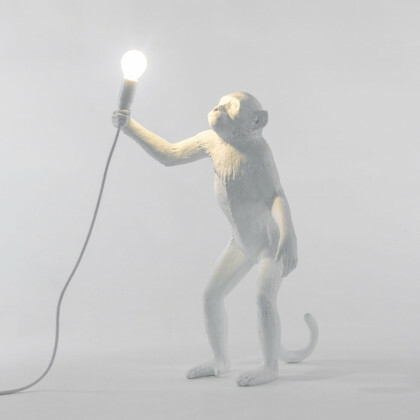 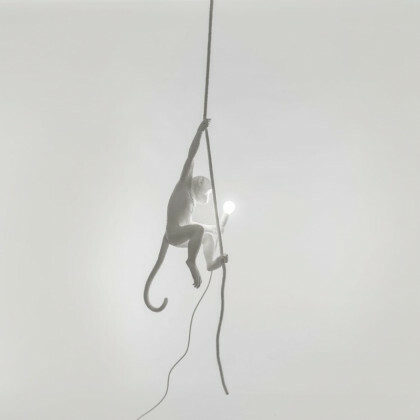 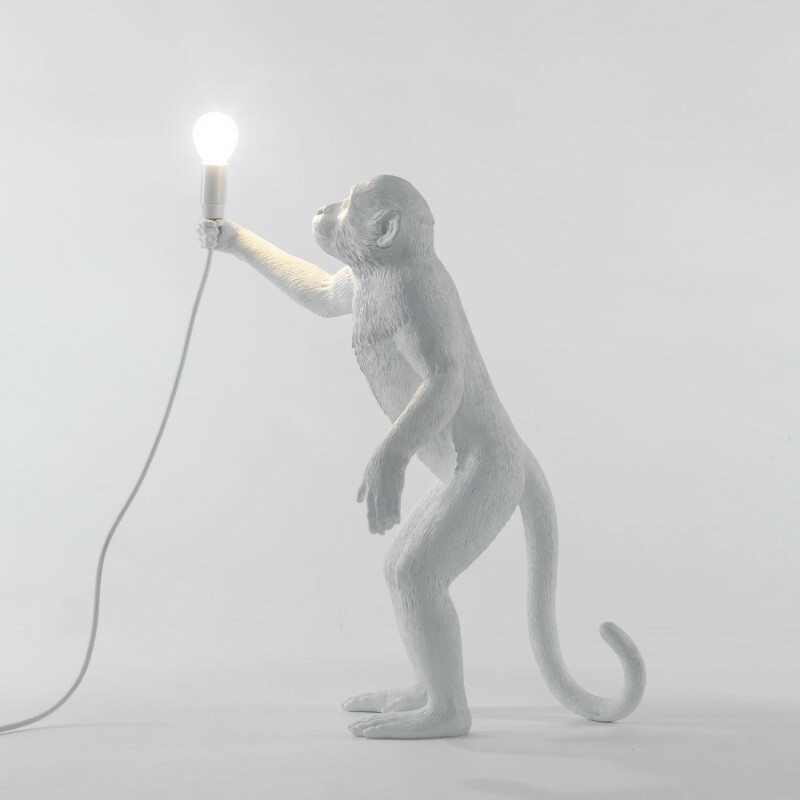 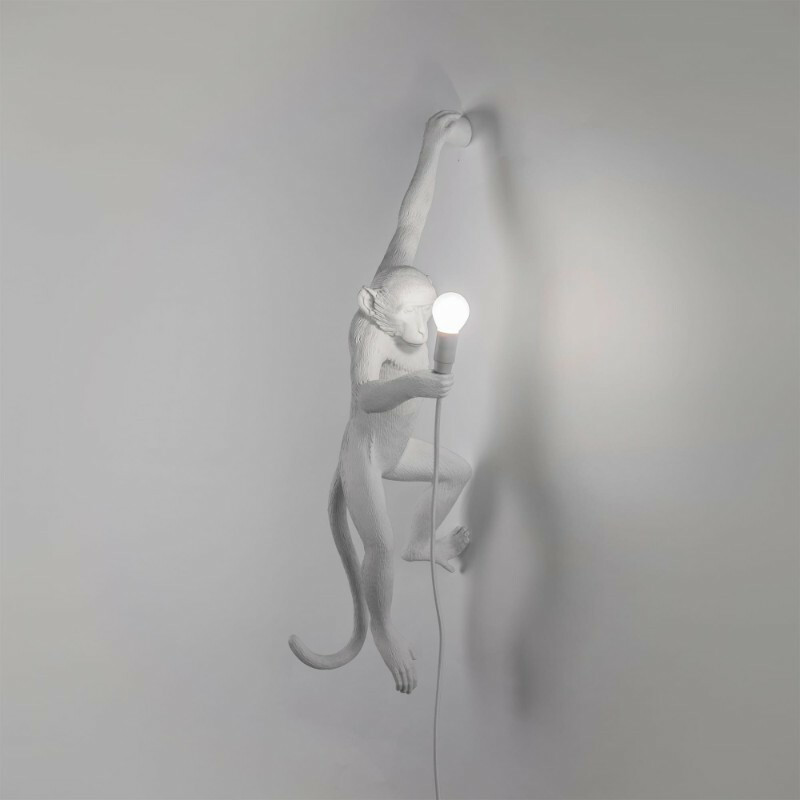 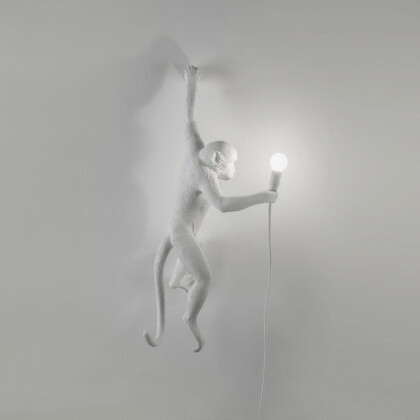 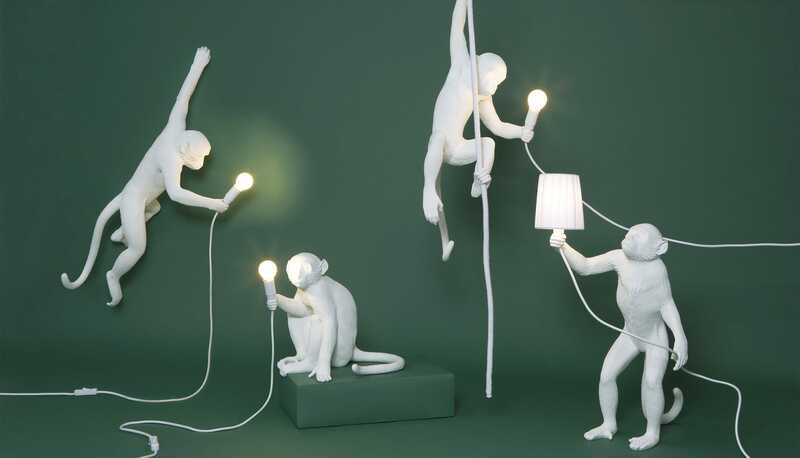 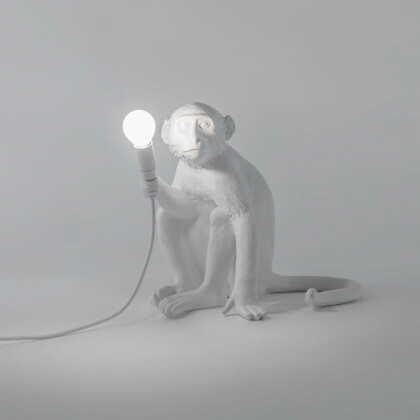 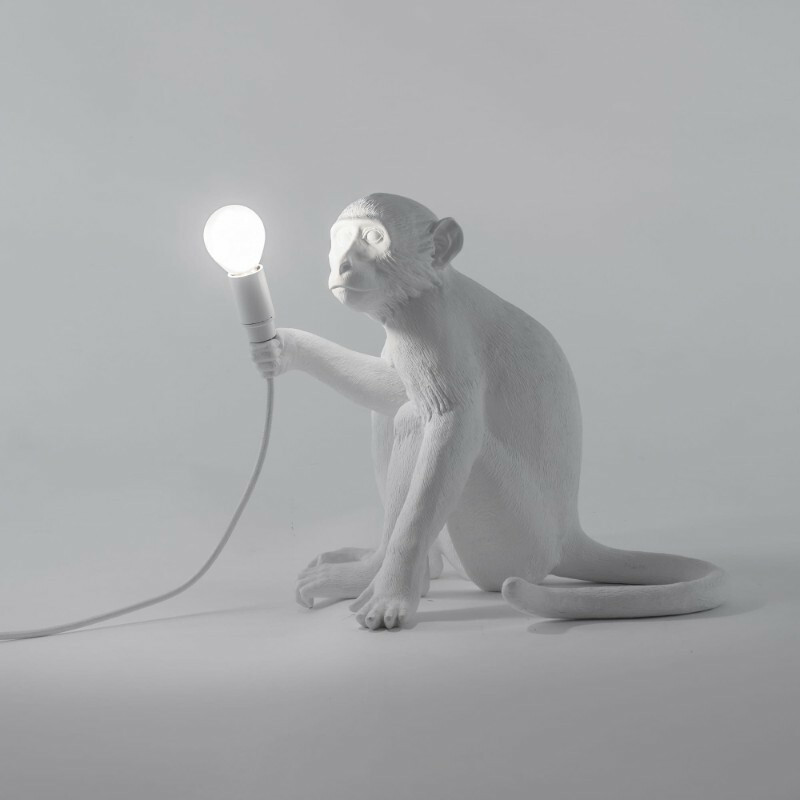 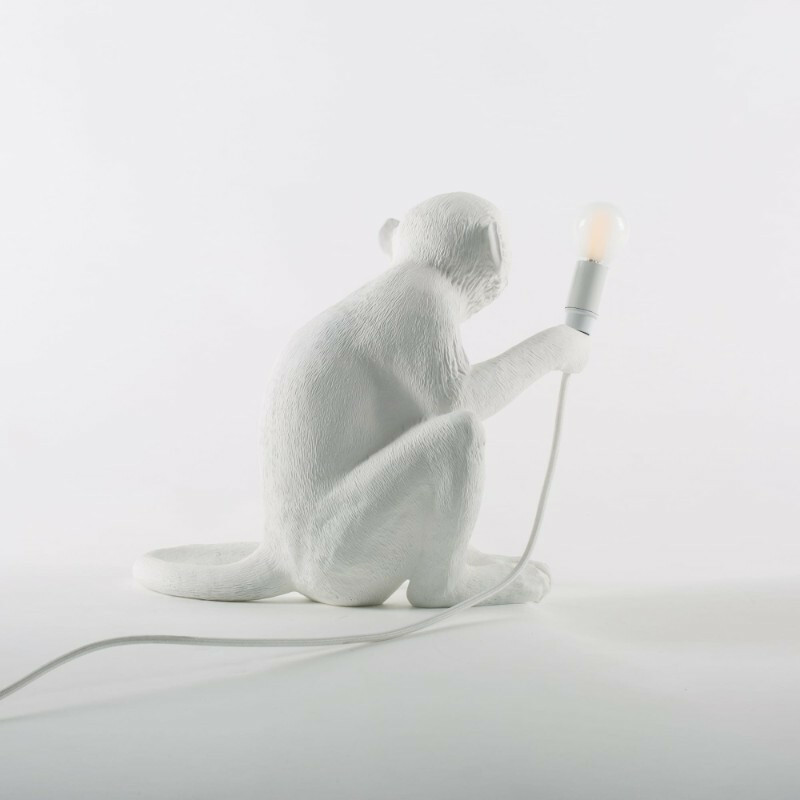 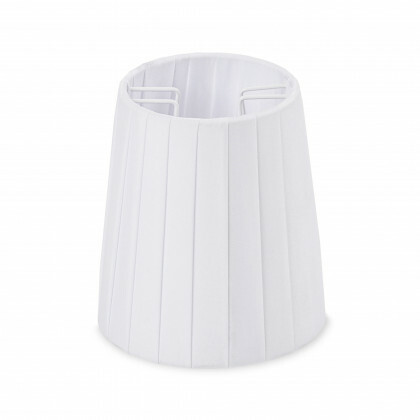 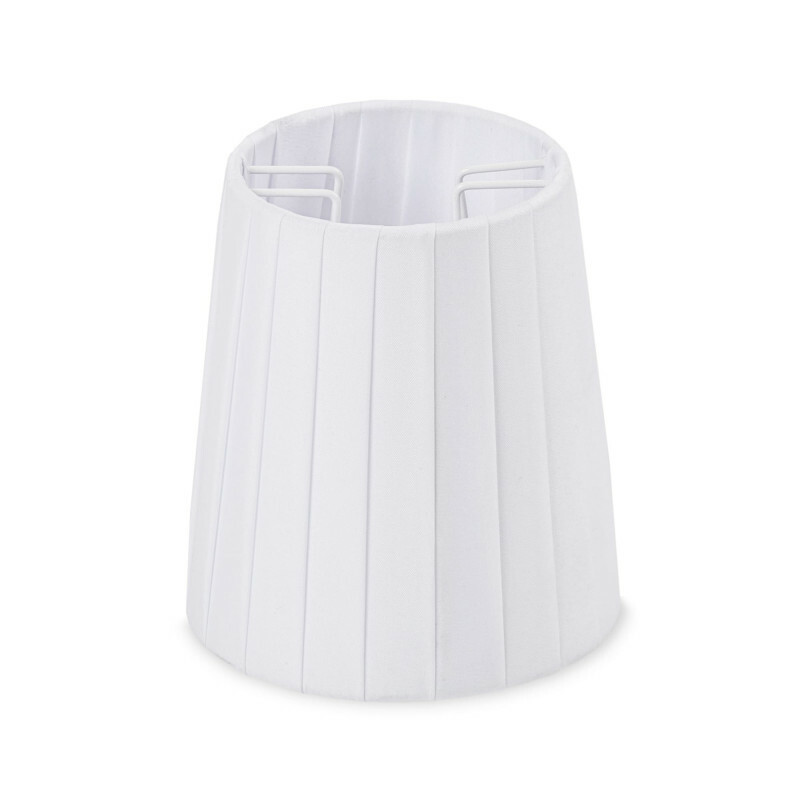 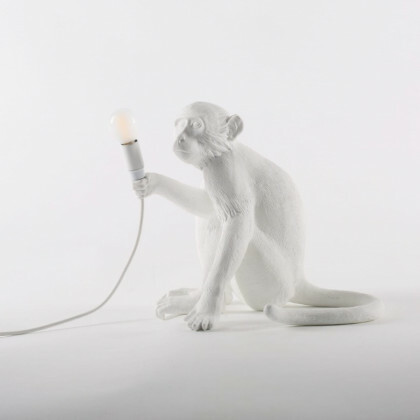 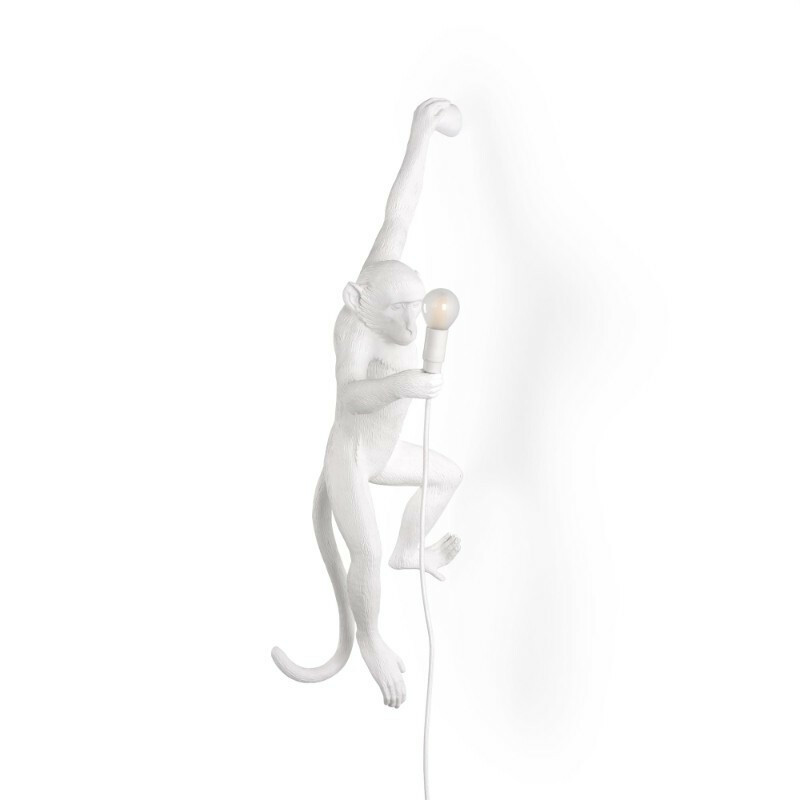 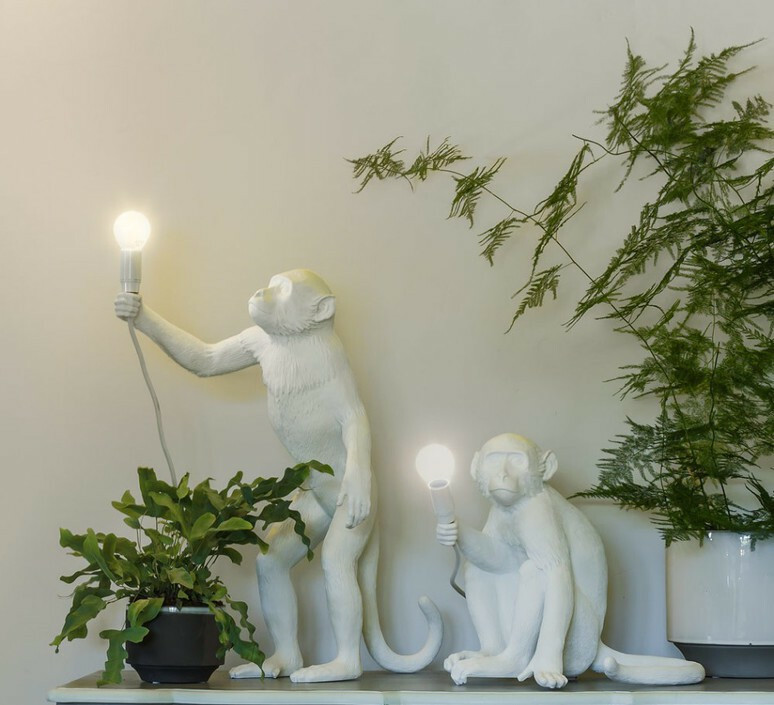 The white Monkey Lamps are to be placed in interior spaces only. 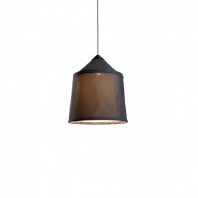 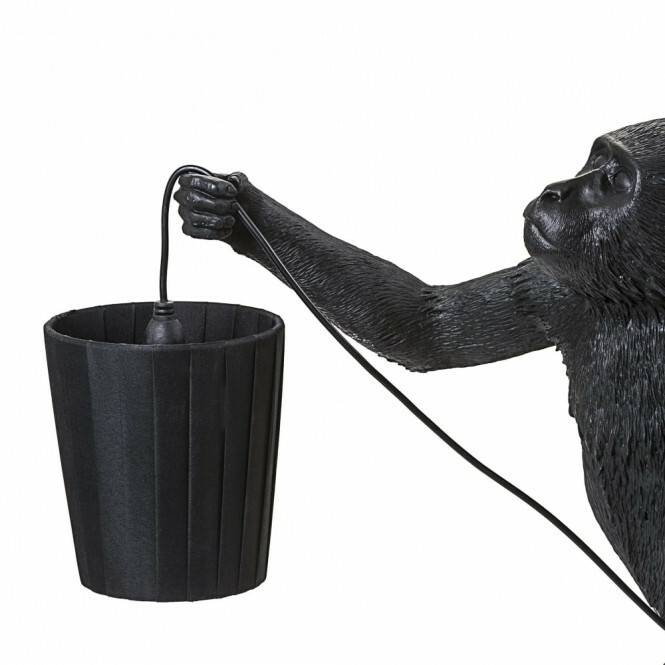 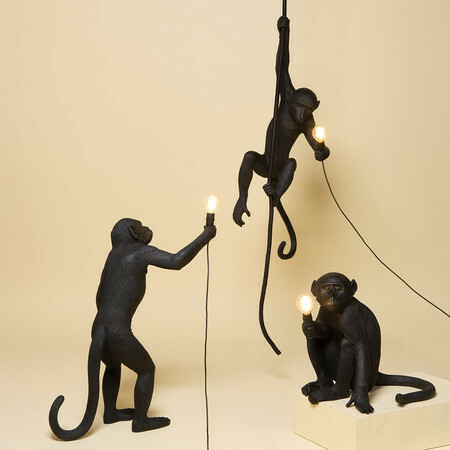 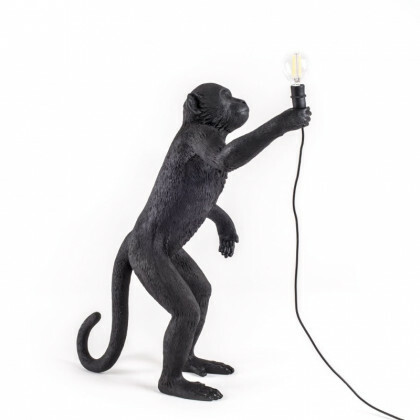 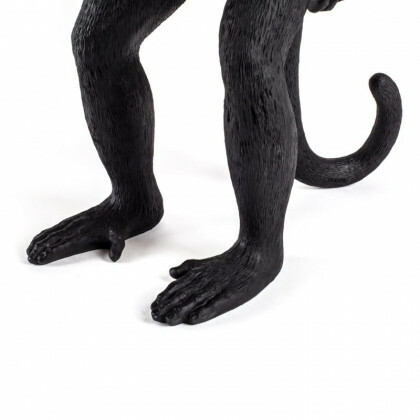 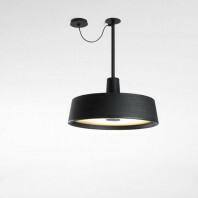 Black Monkey lamps can either be placed outside or inside. The dimensions of the Monkey Lamp Standing Version are as follows: length 46 cm, width 27.5 cm, and height 54 cm. 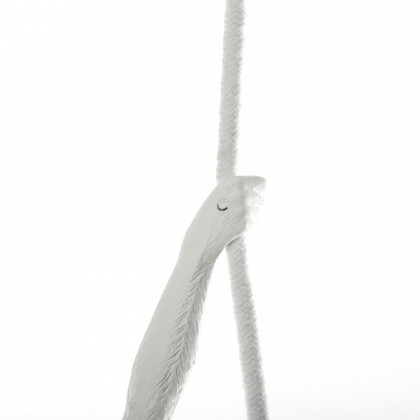 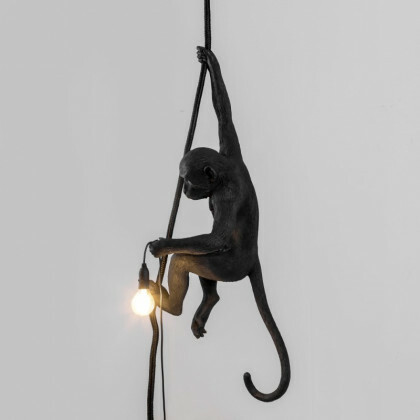 The dimensions of the Monkey Lamp Hanging Version are as follows: length 37 cm, width 20.5 cm, and height 76.5 cm. 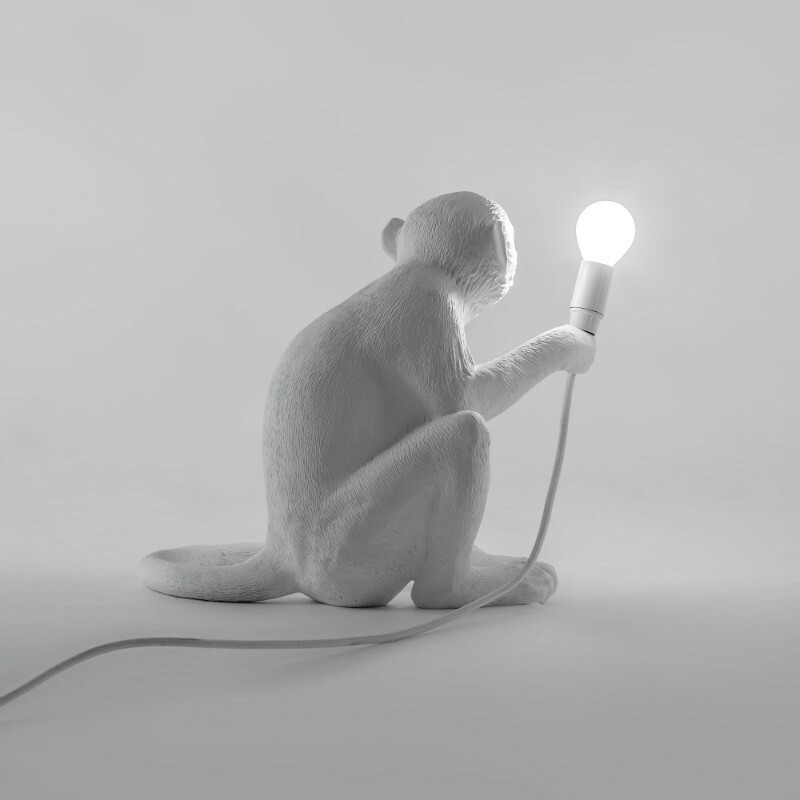 The dimensions of the Monkey Lamp Sitting Version are as follows: length 34 cm, width 30 cm, and height 32 cm. 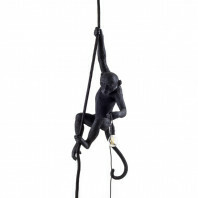 The dimensions of the Monkey Ceiling Standing Version are as follows: length 27 cm, width 30 cm, and height 80 cm. 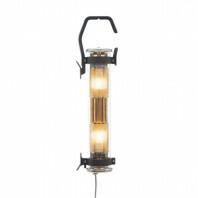 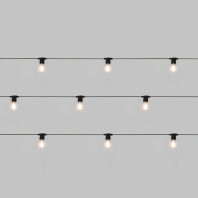 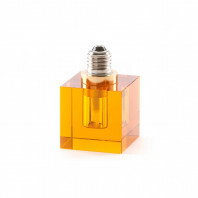 The Monkey Lamps are provided with a LED light bulb with the following specifications: - 230V – 50 Hz – E14 – 4W – 350 Lumen.